Western States has earned a solid reputation due to timely service, high-quality equipment and dedication to the industries we’ve served for over 60 years. Now we bring that legacy to the railroad industry with exceptional on- and off-track railroad rental equipment solutions and support. 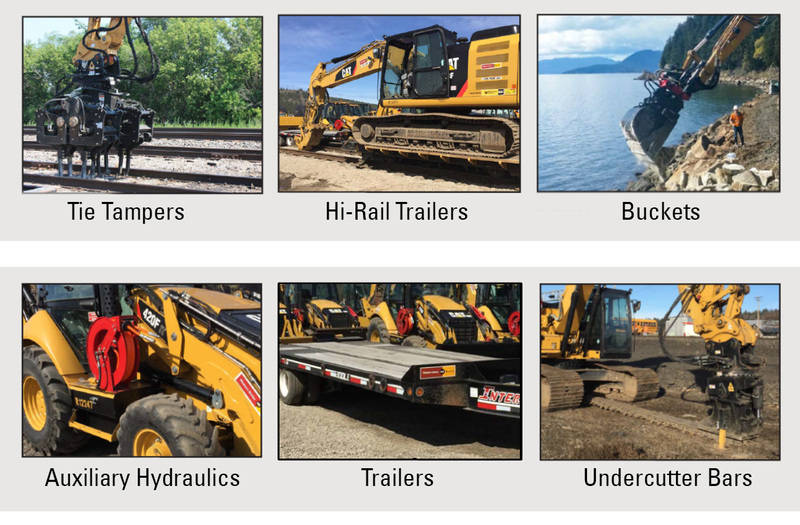 We carry an extensive line-up of rail-specific Cat® rental equipment that can be tailored to fit your specific operational and safety requirements, as well as the attachments and trailers to keep your operation running smooth. Combining our wide selection with a team willing to work with you on short- and long-term solutions gives us the flexibility to meet your needs so you can maximize efficiency on the job site. Railroads played a major role in opening up the West of the United States and today they continue to play an important role in shipping and transportation. You may need tie tampers, hi-rail trailers, buckets, undercutter bars or other types of railroad equipment and machines. All of our rental railroad equipment is professionally serviced and maintained and ready use. Instead of investing in equipment you don’t need all the time, turn to Western States Cat for your temporary rental needs. Railroads continue to drive our economies and provide jobs and transportation to our citizens as well as all types of goods, so we will continue to offer reliable and dependable railroad construction and maintenance equipment to keep the trains running on time! Contact Merv Lewis at (509) 496-0048 (Cell) or (509) 533-9118 (Office) or contact us online for your railroad needs.